Harley-Davidson Motor Company is one of the most eminent motorcycle manufacturing firms that is headquartered in Milwaukee, Wisconsin. Founded in the year 1903, the famous American motorcycle marquee works under Harley-Davidson Inc., and ranks among top five largest motorcycle makers in the world. Known for producing customized motorcycles, marketing merchandise and accessories, at present, Harley-Davidson in India manufactures and sells touring, cruiser and custom motorbikes. The Harley bikes are known for their class leading innovative design and superior built quality, alongside built to let all kinds of riders unleash their freedom. Some of the popular models in India include Harley-Davidson Street 750, Harley-Davidson Iron 883, Harley-Davidson Roadster and Harley-Davidson Fatboy. Under Softail range, it offers Harley-Davidson Street Bob, Harley-Davidson Fat Bob, Harley-Davidson Heritage Softail Classic and Harley-Davidson Fat Boy. Under Touring portfolio, Harley models comprise of Harley-Davidson Road King, Harley-Davidson Street Glide Special and Harley-Davidson Road Glide Special. Under Sportster line-up, it features Harley-Davidson Iron 883, Harley-Davidson Forty Eight, Harley-Davidson 1200 Custom and Harley Davidson Roadster. Under CVO and Street range, it includes models such as Harley-Davidson CVO Limited, Harley-Davidson Street 750 and Harley-Davidson ROD. The tyre brands that manufacture exclusive tyres for Harley-Davidson bikes in the country are Michelin, Metzeler, Pirelli, CEAT, MRF, Ralco Tyres, TVS Tyres and more. The tyre models available for Street version include Michelin Pilot Sporty, TVS ATT 625, CEAT Secure Zoom+, Ralco Blaster Magic, Pirelli Angel City, Michelin Scorcher 11, Metzeler Sportec Street among others. 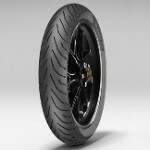 The tyre variants offered for Softail version can be selected from Metzeler Lasertec, Pirelli Scorpion Trail II, Michelin Scorcher 31, Metzeler Tourance Next, Metzeler ME 880, Michelin Scorcher 11 etc. 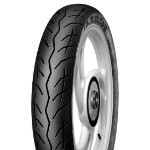 The tyre variants available for Sportster version comprise of Metzeler Tourance Next, Metzeler Lasertec, Pirelli Scorpion Trail, Michelin Scorcher 31, Pirelli Scorpion Trail II, be Pirelli Scorpion Rally, Metzeler Karoo Street, Metzeler ME 888 and others. 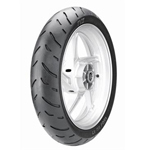 The tyre models offered for Touring version can be picked from Metzeler Racetec RR K3, Michelin Scorcher 11, Pirelli Diablo Super Corsa SP, Michelin Power Slick EVO NHS and others. 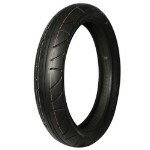 Planning to buy tyres for your Harley-Davidson motorcycle? 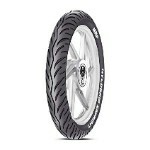 Visit Tyremarket.com, one of the most popular web portals with wide variety of tyre brands and patterns. The online tyre portal provides the convenience of buying your favourite Harley-Davidson tyres by just a few clicks. 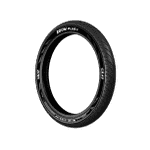 Once you choose the desired tyre model, you can go through all the specifications and details listed which include construction type, speed rating, load capacity, rim size etc.